As a charity run entirely by volunteers, we understand the value and fantastic contribution that the millions of volunteers across the UK make. We love to take opportunities to recognise and celebrate these efforts. We were delighted to kick off Volunteers Week on 1 June when Steve, a volunteer with the University Health Board, popped in to tell Simon and Clare about his volunteering at the Macmillan Information & Support Centre and as a meet & greeter to visitors and patients needing to find their way around the hospital. At Hospital Radio Glamorgan we are always looking for fantastic people to join our team and volunteer with us. We need individuals who are committed, willing to learn, and have a passion for music and people. New volunteers are always welcome! 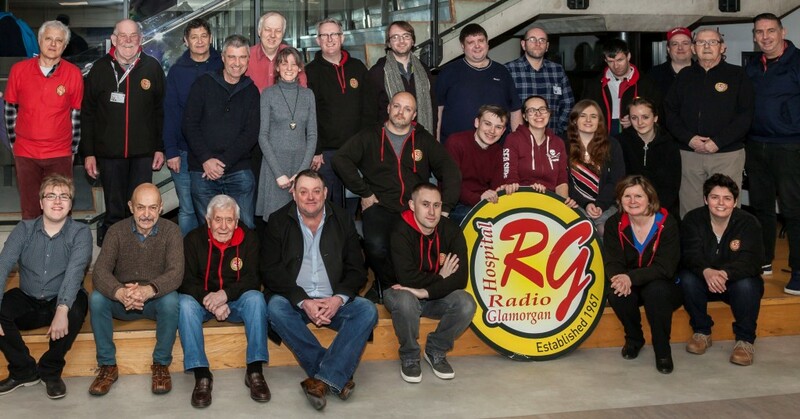 Why not join us and get involved in the many activities it takes to run a charity hospital radio station; as you can imagine, there is lots for us to do! Will I need particular skills or experience? We are looking for people who want to connect with patients, staff and fellow volunteers within the University Hospital of Wales. You need to be a good listener and a patient communicator. By making a stay or visit as pleasant and stress free as possible, the charity provides an opportunity to enhance the patient experience through music and company. 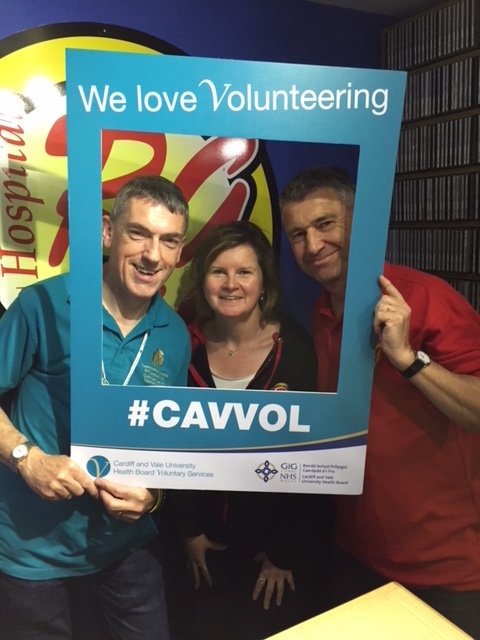 If you think you would like to join the team there are many activities within the radio station to get involved with, including ward visits, fundraising, presenting and writing & producing shows, all of which is trained and supported by Hospital Radio Glamorgan Volunteers. I’ve never done hospital radio! Over half of all our volunteers had never stepped inside a radio station, so all you need is the willingness to learn. There are many aspects to the charity that require support behind the scenes and so your volunteering will never be exclusive to presenting. We aim to provide a diverse and enriching opportunity, engaging with many different people and nurturing your individual skills at the same time. You bring the kindness and we can teach you the technical bits. Click HERE to ‘Get Involved’!